JAMESTOWN – What could be the busiest weekend of the year for downtown Jamestown is ready to get underway. The 2015 Lucille Ball Comedy Festival starts Thursday and will continue through Sunday with dozens of events and activities directly – and indirectly – involved with the festival. 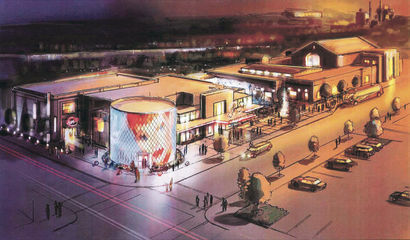 Lucy Desi Center Executive Director Journey Gunderson, who oversees the annual event, says that in addition to the festival events, this year will also feature the groundbreaking of the $40 million dollar National Comedy Center. Gunderson says officials involved with the comedy center are hoping it will be ready to open between late 2016 and the summer of 2017. Meanwhile, the groundbreaking event will take place Saturday at 2 p.m. at the southwest corner of W. Second and Washington Streets and is open to the public. As for the 2015 festival, thousands of people are expected to attend the various events – which features a variety of special guests and big name performers including Jerry Seinfeld, Nick Offerman, Regis Philbin, Melissa Rivers, Kelly Carlin, and several rising stars of stand-up comedy – along with numerous other special guests throughout the four days. There will also be plenty of events celebrating the life and legacy of Lucille Ball, the television icon who was born in Jamestown. 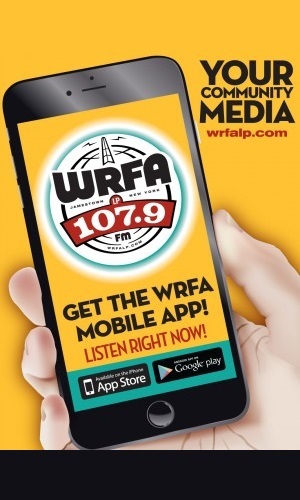 During an interview earlier this month on WRFA, Jamestown Mayor Sam Teresi talked about the impact Lucy’s legacy and the festival has on the community and regional economy. Officials estimate the comedy festival has an annual economic impact of $4 million to the local economy. 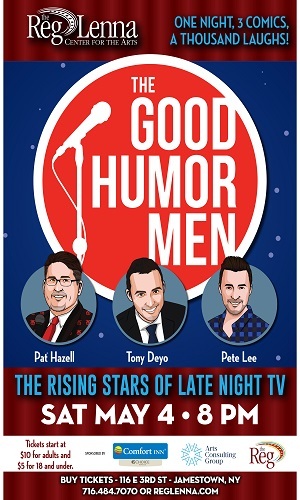 A complete rundown of all the events of this week’s Lucille Ball Comedy Festival – including Thursday’s events which feature a roundtable discussion on David Letterman hosted by Regis Philbin, along with a stand up comedy showcase tonight at the Reg Lenna – can be found online at LucyComedyFest.com or by calling (716) 484-0800.